I should not have been surprised by the recent news that U.S. Secretary of Interior Ryan Zinke has again failed us. 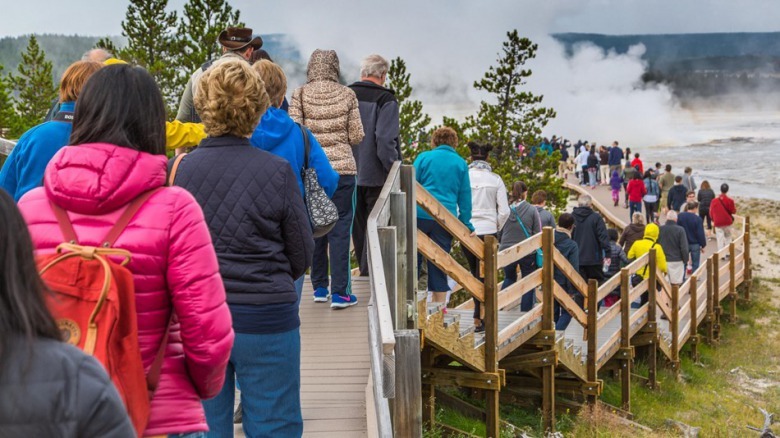 Addressing access and infrastructure – as “Made in America” has been tasked – means contending with complexities like the long history of exclusion of marginalized communities in outdoor spaces and the National Park Service’s $11.6 billion maintenance backlog. But these issues cannot be solved in a vacuum. Public lands are both for the people and for protection of land and wildlife. In the Greater Yellowstone Ecosystem, such mandates are crucial and they do not exist to accommodate the whims of political fiat. Conservation contextualizes and complicates the bricks and mortar issues of access and infrastructure. How do we contend with increasing access when it poses threats to sensitive ecosystems? Do we prioritize infrastructure development projects or habitat protection at times when those two are at odds? Engaging capably and justly in such divergent issues as access, infrastructure, and conservation will require great minds bringing the most thoughtful and sensitive planning forward. So who made Zinke’s dream team? Zinke selected 15 individuals to serve on his committee. Thirteen are men. Fourteen are white. Not exactly a bastion of diversity. Six represent the “hospitality industry,” three of whom have notable conflicts of interest: two are responsible for current concessionaire contracts with the National Park Service (Jeremy Jacobs– Delaware North, Bruce Fears– Aramark Leisure), and the other is a longtime concessionaire advocate (Derrick Crandell– National Park Hospitality Association). Five of the fifteen are gear manufacturers, retailers, and advocates from the shooting sports, fishing, and/or boating industries. Three are in the business of RVs and motorsports. One member’s work has focused on privatizing the public services of state wildlife agencies. And one “Made in America” member lives in Canada. Are these individuals truly the “best and brightest” for the task of addressing the complex issues of access and infrastructure in the context of conservation for our public lands? Can we trust them to advise in the public interest? Ryan Zinke is not the first Interior Secretary to emphasize infrastructure in national parks and use of resources over their conservation and safeguarding. The Mission 66 agenda resulted in developments being built in sensitive ecological places where they shouldn't have been sited and attitudes of visitor consumption. 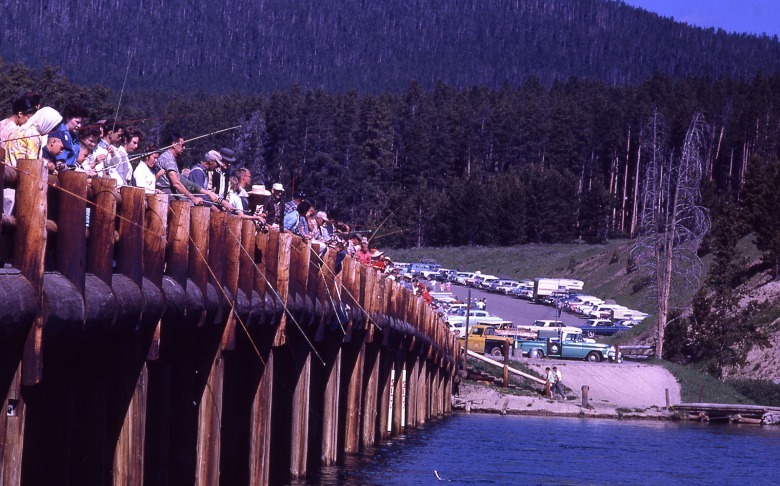 At Fishing Bridge in Yellowstone, angling pressure decimated the trout population and had to be curtailed in order to protect the fishery, which plays a vital role in feeding grizzly bears, bald eagles, peregrine falcons and otters. Photo courtesy National Park Service. I struggle with the reality of our moment in time, when a given day’s news headlines often evoke anger, heartbreak, sadness, or frustration. Our planning for the future is happening in isolation from pondering larger macro trends. Did you know that in March we lost the last male Northern white rhino on earth? This constant deluge of despair has regrettably raised the threshold for what grabs my attention and concern. It’s not apathy. It’s survival. All this to say, I normally would have accepted the headline, “Zinke creates new outdoor recreation panel made up almost entirely of industry advisers,” with a quick, abbreviated fury understanding what the force of it might be. The composition of individuals he selected surely wasn’t surprising. Zinke has stocked other committees with equivalently biased, sometimes inept, special-interest folks, few of whom understand anything about conservation. At the same time, Zinke’s “appalling” lack of understanding led to widespread resignations by conservation-minded members of the National Park Service Advisory Board, a membership noted by former National Park Service Director Jon Jarvis as the “most active and productive” in the body’s 83-year history. As most readers know well, Mr. Zinke is the same cabinet secretary who cut apart two of our most culturally and ecologically significant national monuments in the name of “restoring trust.” He then spun this pillaging as a creation story, declaring there are now “five unique monument units” where once there were only two. I could go on. Yet the announcement of “Made in America” committee selections wasn’t something I could accept in passing. Zinke’s stepwise dismantling of our public lands in support of private interests must continue to be acknowledged and resisted. We stand to lose too much if we sit idle. 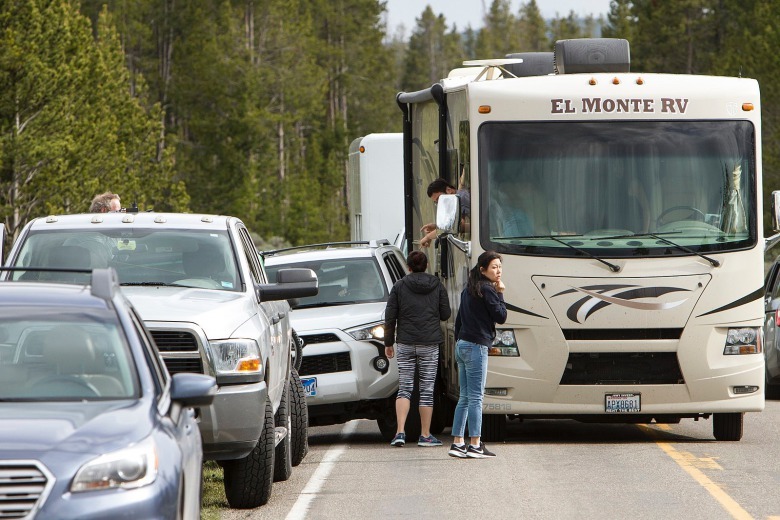 Rep. Dennis Ross of Florida, a self-identified “RV enthusiast” who has earned a pitiful 4% rating by the League of Conservation Voters, was quoted as valuing the committee for its potential as “entrepreneurs…who think of new ways to experience what our country has to offer.” That is code for using up resources. While RVs were given the limelight, neither the words “conservation” nor “environment” made the press release. What did was Zinke’s call for “continued exponential growth.” But does he understand what exponential means? Our public lands are not exponential. They are finite, and those which still possess ecological function are under serious pressure to be reduced. Our parks, refuges, wildlife, lakeshores, and meandering rivers cannot endure exponential. To be clear, this committee has been tasked to privatize aspects of our public lands in the implicit interest of economic gain for specific individuals and industries. Again, this news should not be surprising. I could have – maybe should have – let it pass with the day’s setting sun. But it irked me. That the person in charge of caretaking our birthright – our public lands – does not comprehend the urgency of this moment. That he continues to make way for special interests at the destruction of our heritage, the lives and well-being of others, and what is in the common interest. That I had believed that since Zinke, like me, calls Montana home, he might grasp the value of conservation, of environmental and social justice, of roadless, protected wild places. That we might all finally come together in recognition of something greater than exponential growth. Where does the “Made in America” announcement fall among all the competing tragedies to mourn and battles to fight? For me, it is a call to speak. To cry out on behalf of those whose voices are not among Zinke’s farcical fifteen. To be voice for the grizzly bear and Yellowstone cutthroat. To carry the torch for pronghorns and bull snakes. To acknowledge and empower those human communities excluded from outdoor spaces. To identify the right of a river to flow, and of wolverines to have snow. To speak for all future Americans, that they may know those places upon which we deemed too sacred, and resisted our human urge to develop, extract, and consume. I won’t tire for our public lands. Have you? Katie Christiansen is editor of the forthcoming book, The Artists Field Guide to Greater Yellowstone, featuring contributions from 50 local artists and writers. 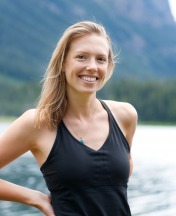 Katie, an artist and avid outdoor recreationist, is a graduate of the Yale School of Forestry and Environmental Studies and a research associate with the Jackson Hole-based Northern Rockies Conservation Cooperative. She lives in Bozeman, Montana and is working to advance human-wildlife coexistence.